Easton Michael, my first nephew from my sister, Kasey. Like her maternity session, we met again in North Carolina. This time to spend Christmas as a family. Everyone came, which was pretty amazing. It's hard now-a-days that we all have our work schedules and school schedules and my siblings have their spouses families to spend time with too. It is a rare, but a blessed occasion when we ALL are able to gather together. That's how it is when you come from a big family...and our tribe increases. Okay, so Easton is not really a newborn anymore. Obviously (I say that with a wink). 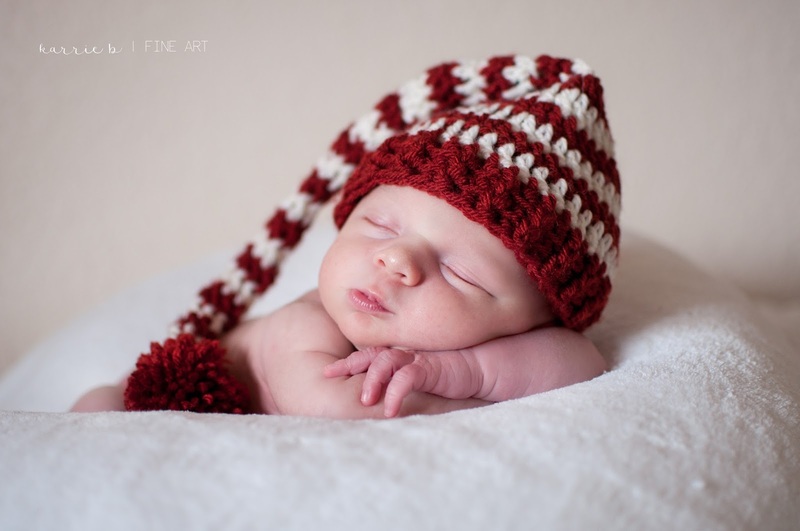 He was born in December 2014. 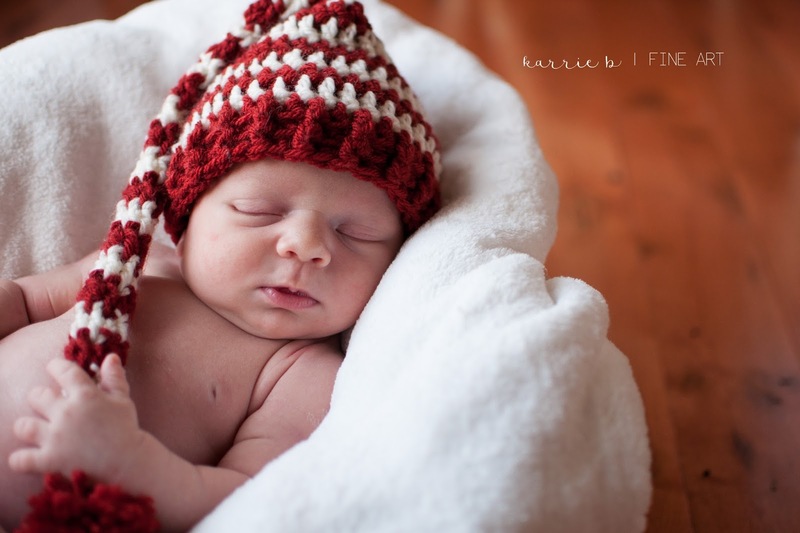 I remember I could not wait to meet him and take his newborn pictures. I only had a day and a half to spend with my family this Christmas because, at the time, I was working a retail job and had to be back to work the day after Christmas. It snowed on Christmas day, so the sky was pretty overcast. I am a natural light photographer, so I rely on any available natural light. I was so thankful for the large french doors in the kitchen going out to the back deck. 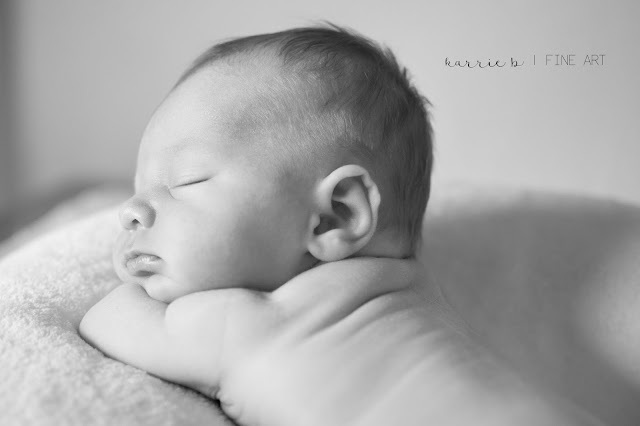 Easton had just nursed, so he was fast asleep the entire session. I maneuvered him around quite a bit; I'm impressed he stayed sleeping the whole time. 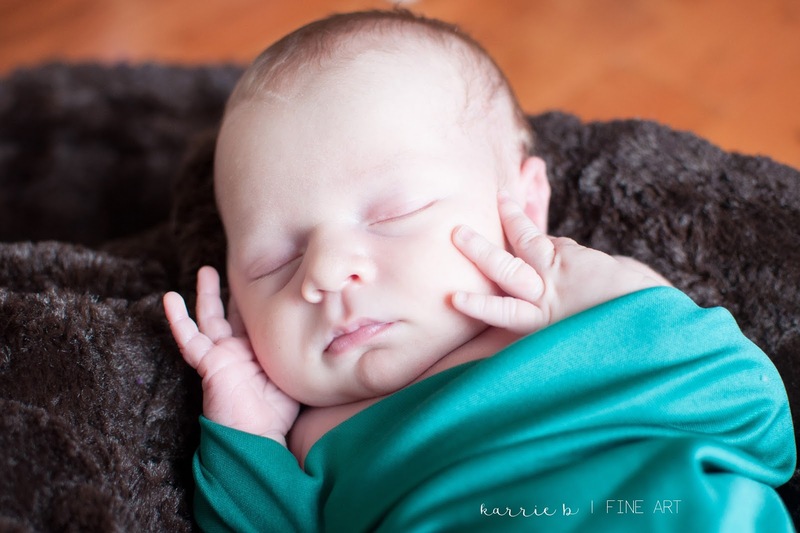 All my sisters were cooing behind me as I took each of these images. You'll also see that Easton's buddy, Bailey, made it in one of the shots as well. 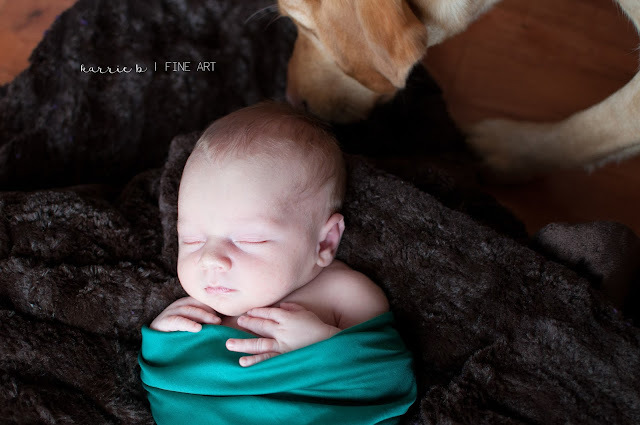 She is a beautiful blonde Labrador who was curious about what I was doing with the newborn baby boy. I captured her, blurry, but you can see she's sniffing the scene to make sure Easton is safe and sound. As I mentioned in my previous post, I will be visiting Tennessee soon to photograph a gender reveal with Kasey & Mike, Easton...and maybe the pups will make an appearance too. They're part of the family. Easton is going to be a big brother! 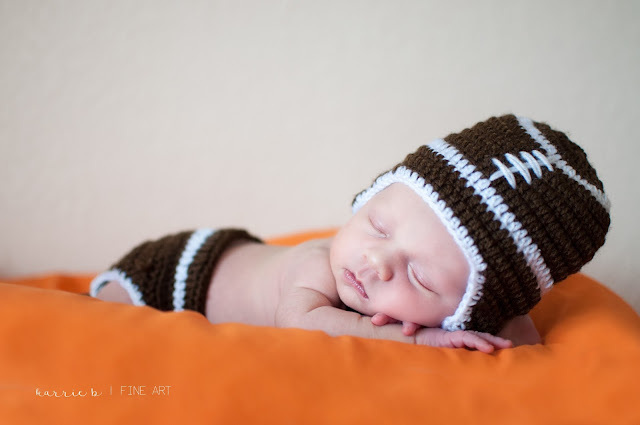 Kasey & Mike chose this image for their Baby Announcement. Rocky Top, for Daddy (Mike, who is a UT Alum). Just because I love black & whites...and baby back rolls.